Since the rise of digital printing, there have been a lot of questions about its viability for book publishing. But, technological advances and cost sensitivity have made digital printing a great solution in a highly competitive market. Digital printing has become a favorable option for self-publishers to print on demand. With digital printing, self-publishing becomes easier and faster. This printing option requires minimal set-up time, so there is no need to prepare printing plates as in offset printing. Self-publishing in Newton, MA guarantees self-published authors the control over the content and design of their book. With the help of digital printing, self-published authors can have the convenience to print only the right number of books depending on the demand. This allows the independent authors to minimize risks such as having stockpiles of unsold books or large up-front fees. Since digital printing is so quick to set up, the set up costs are lower for short runs. For self-publishers, choosing digital printing is a wise choice. Digital printing has no setup fees, so you can print as few books as you need without incurring a large initial fee. In addition, digital printing ensures that each copy is high-quality and precisely identical. To find out more about self-publishing and digital printing, contact Country Press, Inc.
Digital printing has led to the evolution of self-publishing. This modern mode of printing has been allowing self-publishers to order only a few dozen copies for their small distribution channel through short-run printing. Short run book printing also permits them to order more copies later, making them able to replenish books that have been sold or are that are in demand. Self-publishers in Boston, MA are increasing in numbers because of the benefits of digital printing, making short-run printing and print-on-demand both possible and profitable. Years ago, book publishing was a challenging, costly and labor-intensive process. Authors and publishers had to be involved in every aspect of book production, hiring and supervising editors, layout artists, and printer to produce a thousand copies of books. The scarcity of bookstore and library distribution also made it more difficult for individual authors and self-publishers. But that is no more the case. Since digital printing began in the mid-1990's, it has made the production of publications more convenient. Self-publishers continue to take advantage of this new and improved digital technology that has eliminated the necessity of high-volume print runs. Books can now be produced in small quantities, providing a means for authors to self-publish with relative ease and at a minimal cost. And since digital printing involves turning your book into a digital file, can you print and bind smaller numbers of copies to replenish your inventory. To find out more about the benefits and options of self-publishing, contact The Country Press, Inc. The self-publishing journey is now made easier in the publishing industry. Self-publishing in Newton, MA is now more cost-effective. This is good news as self-publishers often ask first about the cost to them to print and publish such books. For self-publishers, the accompanied printing cost has always been partially, if not totally, a deciding factor in making a critical decision whether to publish a new book. However, this dilemma is now gradually fading because of the existence of digital printing. Digital printing enables self-publishers and authors to compete head to head with books from major publishers and may earn edge in the global market place. This modern mode of printing provides you with the control and convenience to print on demand. This option is best for books that need frequent modifications and constant updates. Digital printing does not only provide authors and self-publishers to print on demand. It also lowers set up cost, improves operation, and allows for faster circulation because it prints what and when you require. Plus, you are sure that each copy is absolutely identical to one another unlike traditional printing. Make your self-publishing journey its best chance of success and contact Country Press Printing. 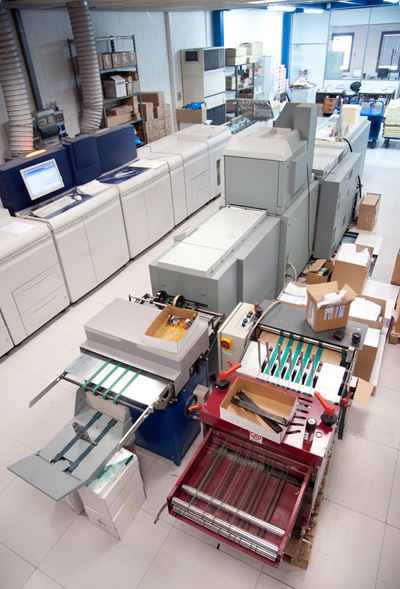 Short Run Printing in Atlanta, GA can improve the efficiency of printing books and other publications. It allows authors and publishers to order books in smaller quantities. Short run book printing only requires a minimal set-up cost which makes this option for printing less expensive. Digital Printing has made short run printing of books possible. This way, it takes less time to print so you get your books back faster, so you make money faster. Since you are able to order in smaller quantities, less money, risk, and space is involved. Short run printing also gives you less chance of having book left over which saves you from the risk of dead inventory - being stuck with old stocks. Another advantage to short run book printing is that you can update the content or change the book’s cover; it allows you to make some corrections or any modification with each reprinting. Printing in short runs is a great way to test the waters. Because you can conveniently make changes to the books, it is easy for you to fit the market requirements more strategically. If the sales go well, increasing the print run is easy. Short run printing uses print on demand technology. You are also assured that the digital duplicates of the documents you printed will never be misplaced and can be reproduced whenever necessary with consistency. 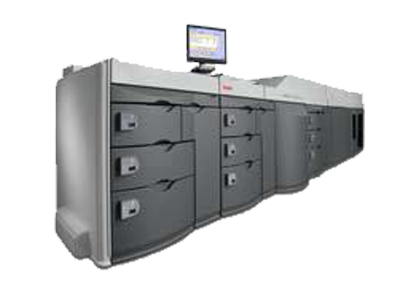 Short run printing and the technology of digital printing can produce faster results. This is the perfect printing option budding authors and self-publishers. For more information, consult the Country Press Printing.